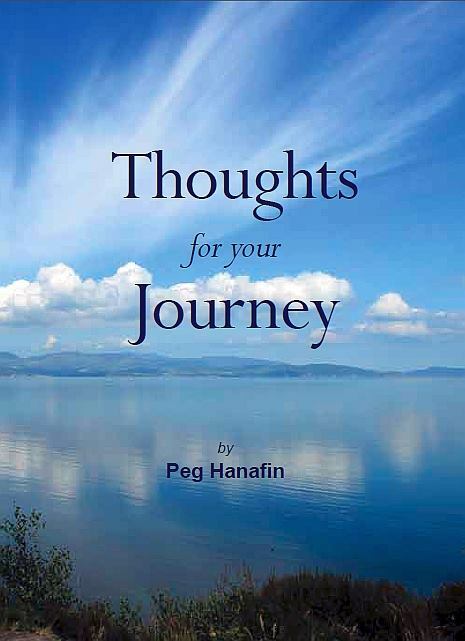 Peg Hanafin, volunteer, successful business woman, coordinator of a Second Chance Education Centre, chairperson, innovator, inspiration, and multiple award-winner has seen it all and done it all. For 30 years, she took more than 60 children every year from disadvantaged families on holidays to the St. Vincent de Paul Centres in Carne, Co. Wexford, and Birr Activity Centre, Co. Offaly. She is still in contact today with many of those children, now adults with their own children and grandchildren. She also organised holidays for older people and each year for 30 years took people from the Hospital of the Assumption and from the community of Thurles on holidays to Carne, Co. Wexford, and Youghal, Co. Cork. Peg was the instigator and coordinator of the women’s groups on self-development for the Thurles area from 1995 and these courses took education out into the rural parishes and provided educational and social opportunities for women. Peg also visited Limerick and Cork prisons over many years, keeping in contact with young people from Thurles and the surrounding area and helping them get back on their feet when they were released. She was well known in the Thurles area for getting things done, including getting work done for the homeless and getting MABS (the Money Advice and Budgeting Service) up and running in Thurles. Peg worked with the Thurles St. Vincent de Paul Conference from 1968-2001 and played an active role as Secretary and President. She also had a successful retail business with her husband, Seamus, in Thurles. She used the skills and knowledge gained through that business when she became the coordinator of a Vocational Training & Opportunity Scheme (VTOS) centre in Thurles, which she named Coláiste Éile (Thurles College of Further Education). Many of her students went on to higher education, completing certificates, diplomas, primary and Masters degrees. During this time, she was an active member of the Board of Management of Thurles CBS Secondary School and made many important changes during her time as Chairperson of the Board from 1988-2001. As an adult learner, Peg studied counselling at University College, Galway, and was awarded a Diploma in the Psychology of Counselling in 1989. This was followed by an Advanced Diploma in the Organisation of Community Funded Groups, awarded by the Royal Society of Arts, London. 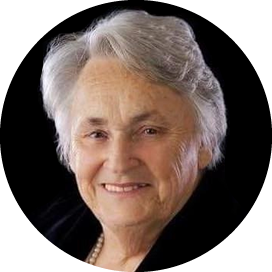 In 1998, she commenced an MSc in Rehabilitation Counselling with the University of Illinois and the Tipperary Institute, which was the first transatlantic course in Ireland delivered through video conferencing. She was awarded a first class Honours for her achievements on this Masters course. She has worked as an addiction counsellor, particularly in the area of alcohol and drug misuse, and has had much success with her clients. Peg has been endowed with many special awards, including the long service medal from the National President of the St. Vincent de Paul. She was Thurles Credit Union Person of the Year in 1997. The Vocational Education Committee in Thurles presents an annual award called ‘The Peg Hanafin Bursary’, which acknowledges the Student of the Year. A perpetual cup, purchased by students from Coláiste Éile, is also presented in her name. 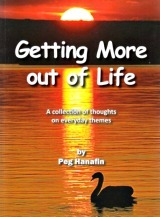 The articles compiled in this book are drawn from Peg’s lifetime of experiences.